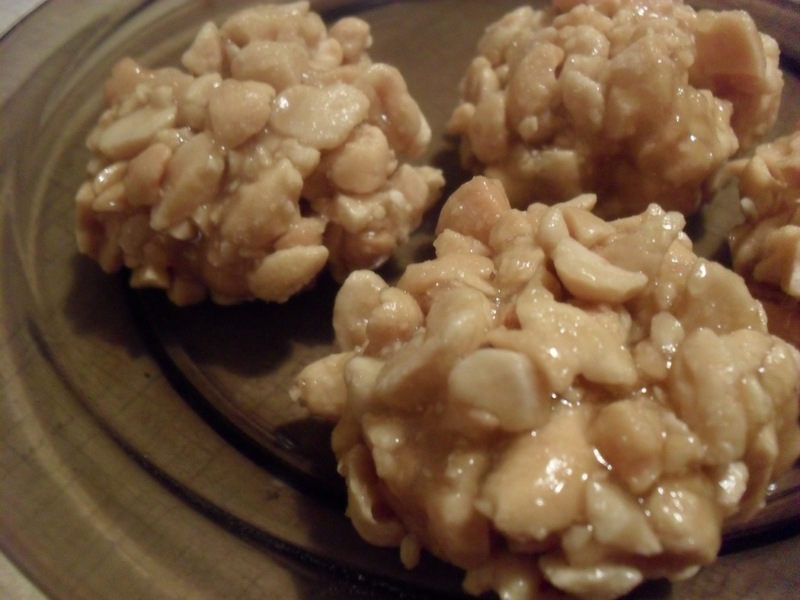 Ttangkong-gangjeong 땅콩강정 tastes like those nutrition bars made from peanuts and a sweet syrup. It’s very simple to make and great both for kids and elders. 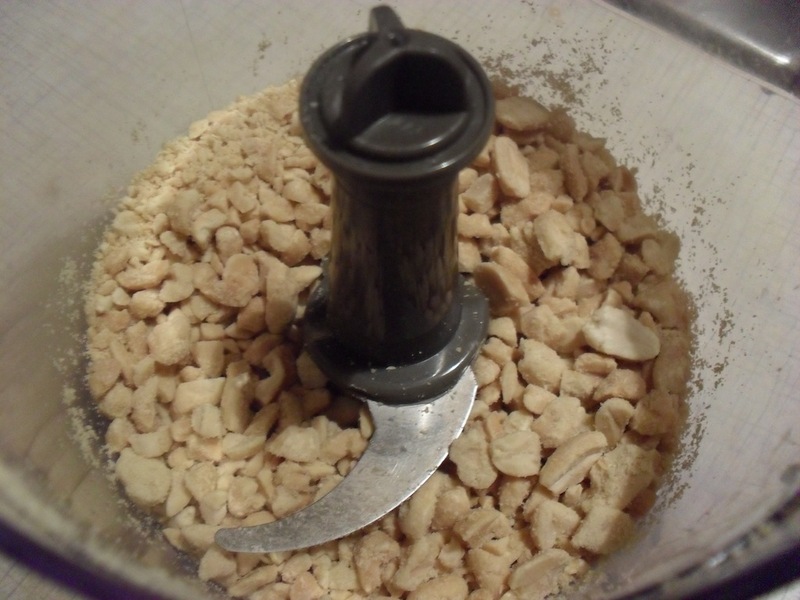 Roast peanuts in a heated pan and grind in a mixer. 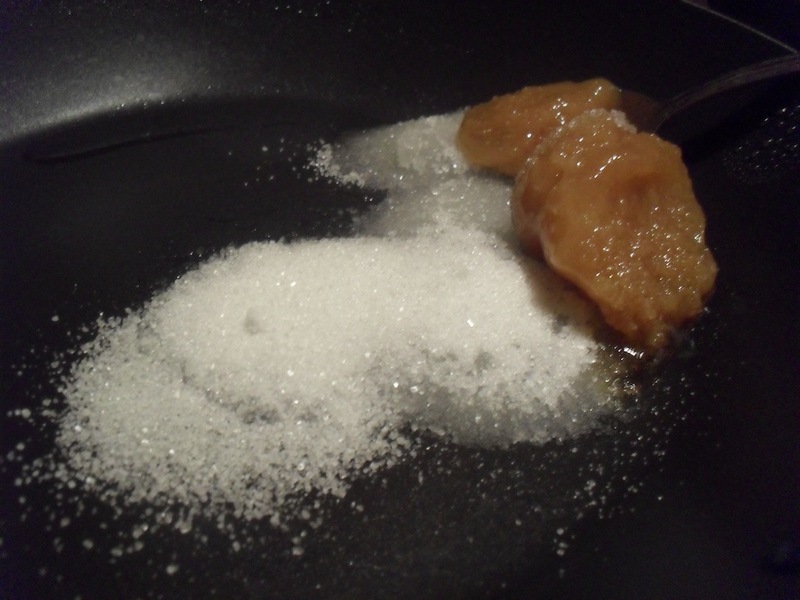 Put remaining ingredients in a heated pan and cook until sugar melts. 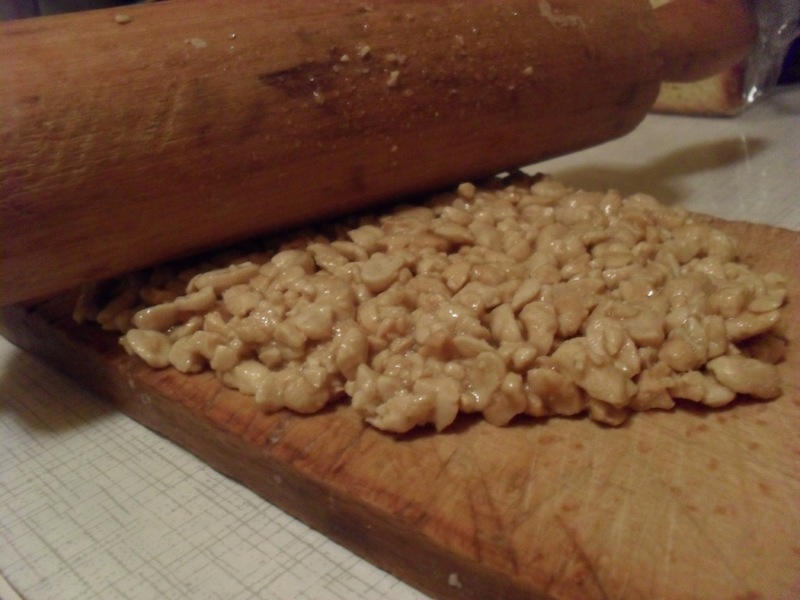 Add ground peanuts and mix well. Don’t keep it too long in a pan because the syrup will turn into a hard caramel. You can form Ttangkong-gangjeong into whatever shape you want – delicious taste remains.